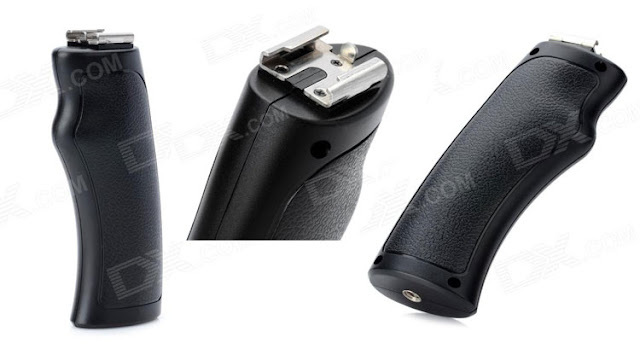 Good, solid, plastic handle grip for mics, lights and other equipment. This one seems to be pretty solid. Plastic, of course, but anyway. Perfect for holdning a mic, flash, a LED light or something like that. It also has a nice 1/4" screw mount underneath the handle to attach it to a tripod or other equipment. Don't know if it's a con, but the handle is pretty big, bigger than expected. Meaning you don't get a really good grip around it unless you have huge hands. I would also have loved it if it had some kind of rubber on it.